Okay, there is no better way to start this post than by saying that Nail Mates are the greatest! So, what are Nail Mates? They are simply a gel polish removal system that is easier, more efficient, and far more attractive than the foil method. 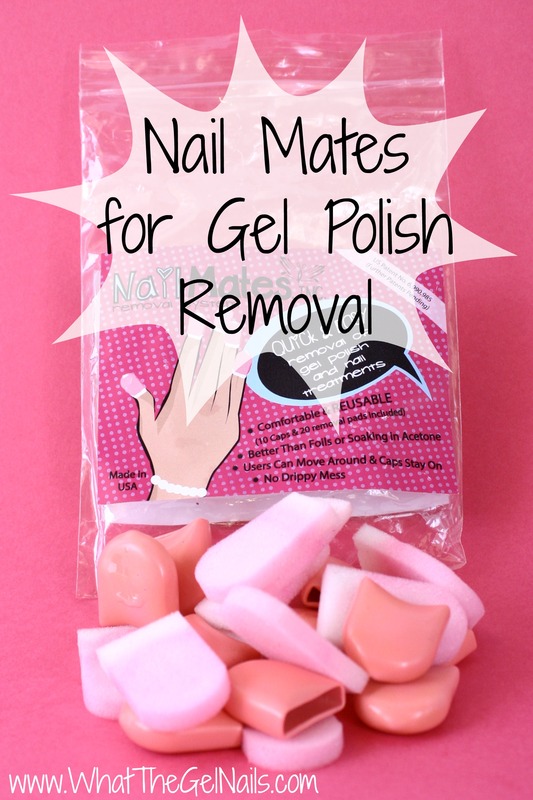 I first heard about Nail Mates a few months ago and I knew I had to give them a try. Gel polish removal is a beast and anything to make that process easier or shorter will definitely be going in my shopping cart. Haha! Anyway, Nail Mates are awesome. 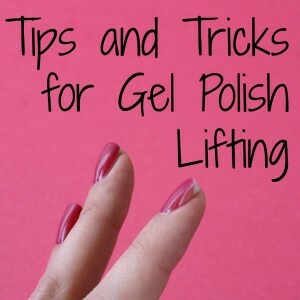 Here’s how to use them to take off gel polish. 2. Soak and load nail mates pads into nail mates covers. 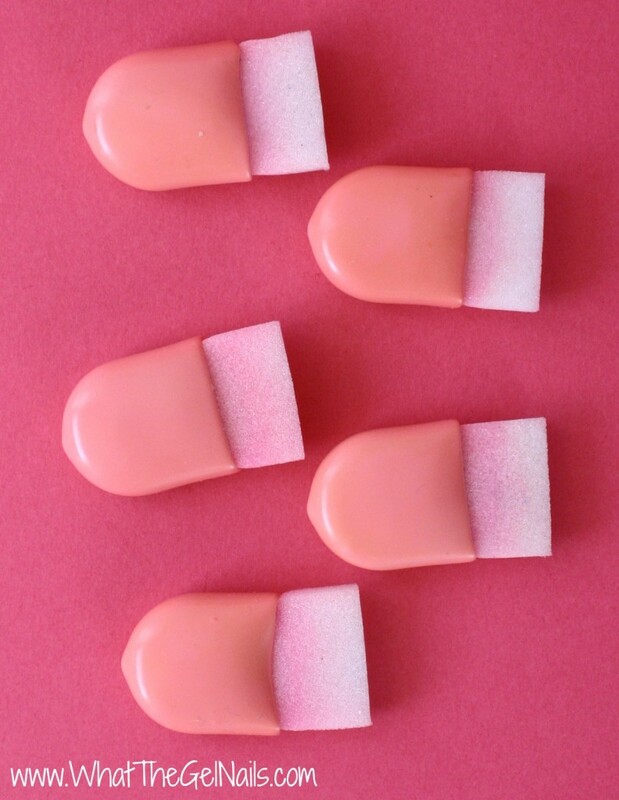 Soak each Nail Mates pad in acetone and load it into a pink cover. It took me about 3 removals to finally get the right amount of acetone. You don’t want too much that it drips everywhere, but you also don’t want too little that the soak off takes an eternity. If you get Nail Mates, just know that it may take you a couple tries to get the acetone amount right. The directions suggest that you soak each pad with acetone and then load each one into all 10 covers before you put them on your finger. I personally find it much easier to just soak, load, and cover each finger one at a time, but that’s just me. 3. 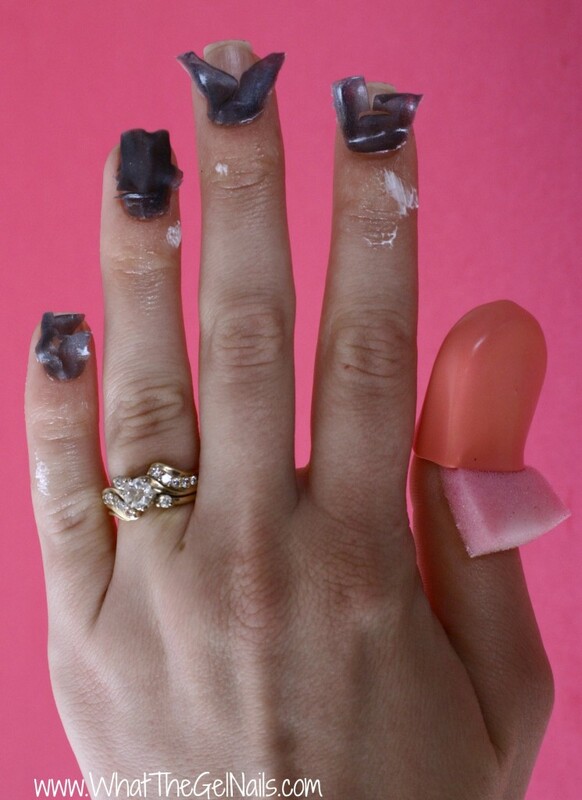 Cover each finger with Nail Mates. 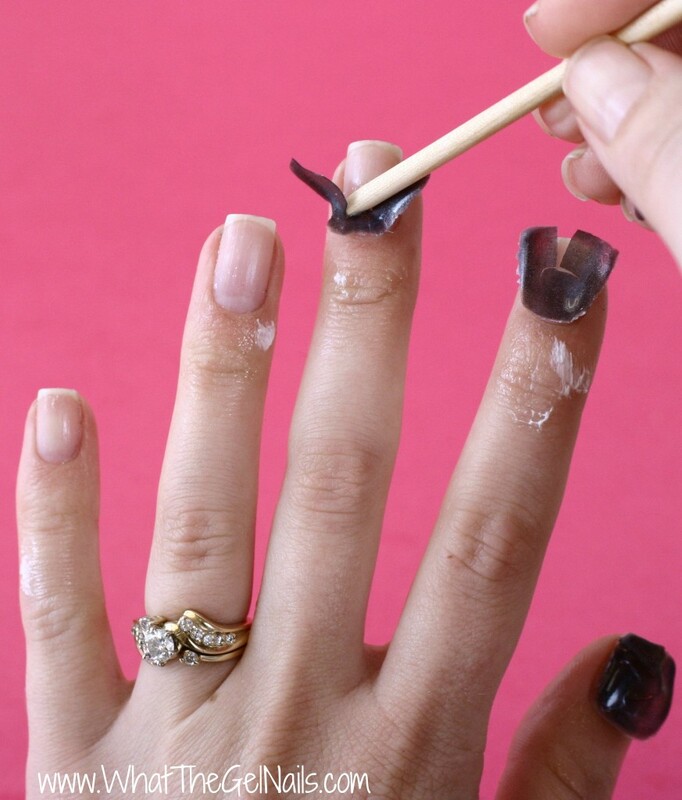 Whether you pre-load all the pads or do it one at a time, you need to make sure you put the Nail Mates on correctly. 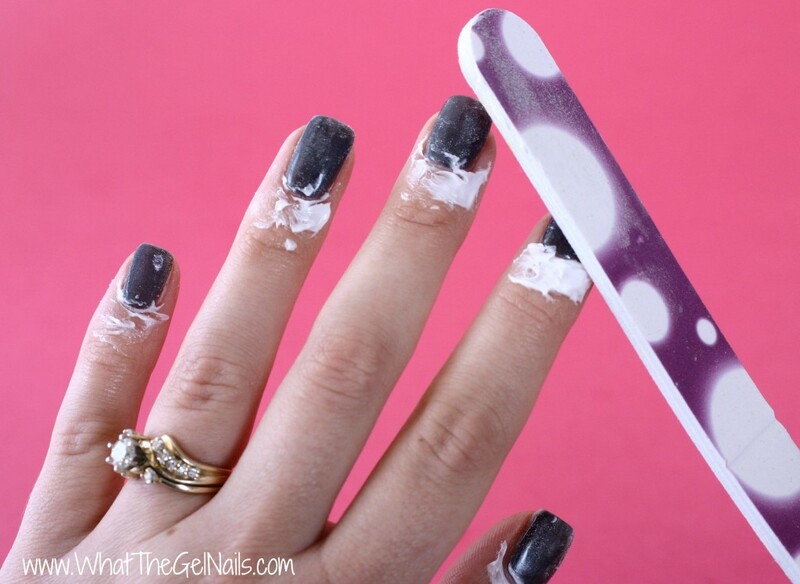 Make sure the pad with acetone is covering your fingernail (obviously, haha). Push the cover down so it is secure. Make sure that the pad is not folded at all inside of the pink cover. This will stretch out the cover and make it less effective over time. 4. Soak for 15-20 minutes. Yes, you still have to let your fingernails soak for 15 -20 minutes. But, I have found that my soak off time has decreased 2-3 minutes now that I use Nail Mates. 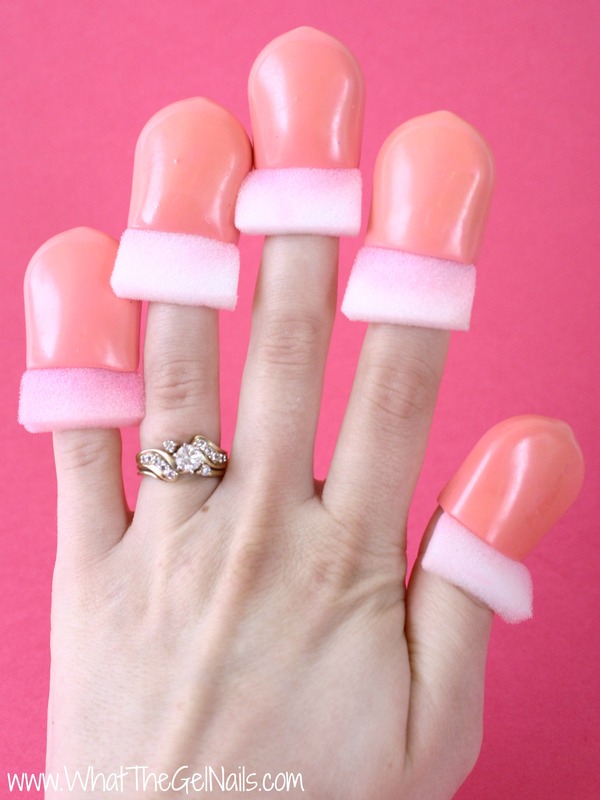 Because of the Nail Mates design, you are supposed to be able to use your fingers during soak off!!! Wahoo! This was a huge selling point for me because just sitting and waiting is not easy for me. The pad of your finger is supposed to grip the pink Nail Mates cover and that friction makes it possible for you to use your fingers without the Nail Mates coming off. Unfortunately, this has not worked for me yet. Maybe I’m still putting on too much acetone, so it may be user error. 5. When ready to remove, press pad against fingernail and gently slide back and forth while taking the cover off of the finger. 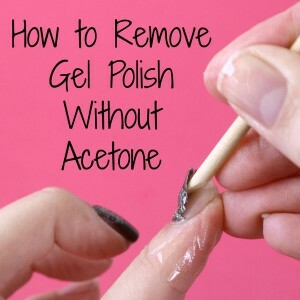 Use an orangewood stick and cotton ball soaked in acetone to remove any remaining gel polish. 6. Wash hands and Nail Mates pads. 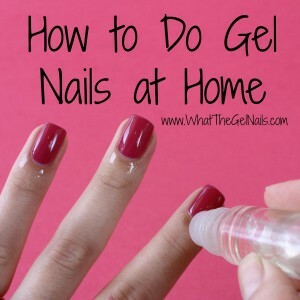 I always wash my hands after gel polish removal to make sure any gel polish or acetone is completely gone, but I don’t wash the Nail Mates after every removal. I just wash them every once in awhile when they look like they need to be cleaning. I just use warm water and rinse them all off and make sure there is no gel polish sticking to anything. Then, I let them air dry for a couple of hours. So, what makes Nails Mates so much better than the foil method? Here are a few of the things I like best about Nail Mates. It’s super easy to soak the pads in acetone and load them into the covers! I can put the covers on all by myself! More even removal! Acetone works from the outside in every single removal! More attractive than fingers covered in foil!